The DX-6 is a sectional valve for max. operating pressures up to 350 bar and max. pump flows up to 180 l/min with “Q-inlet”. For standard inlets without flow regulator the recommended max. pump flows is 140 l/min. The valve is available with 1 to 10 working sections per valve assembly. Additional parts in a modular design. Therefore, that makes the valve very flexible. The valve is, as standard, setup for both manual and remote control. The sections can be manually controllable and with open spool ends or encapsulated. The encapsulation decreases in a significant way the risk of external leakage. Therefore, there is an improvement in the adaptation of the valve for applications in the demanding environment. Furthermore, the design of spool controls for remote control is generally as complete modules for assembling on one of the valve sides. 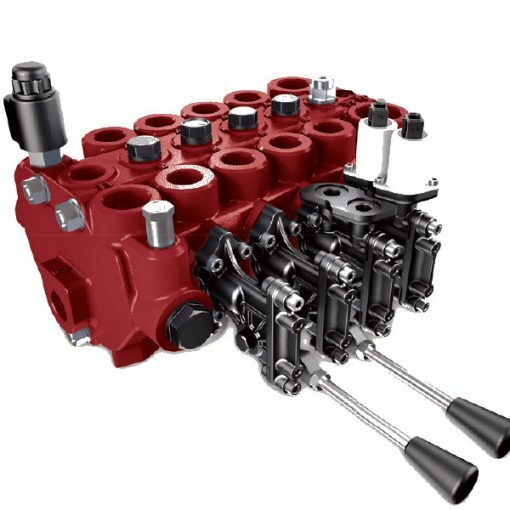 In the first place, DX-6 serves as an open center valve for fixed displacement pumps. However, its configuration can also be for variable displacement pumps. It is available with manual, hydraulic or electro-hydraulic proportional remote control. DX-6 is fully adaptable for marine applications. Moreover, the valve offers excellent operating characteristics and good controllability on a wide range of machinery. This is due to the specially designed spools.